Learn about the innovative practices going on with some of New York City’s most passionate educators and supporters. The latest #NYCSchoolsTech Podcast was recorded live at our annual #NYCSchoolsTech Summit where NYC Schools most innovative teachers come together to share ideas, network, and learn from one another and about what’s new in the world of ed tech. #NYCSchoolsTech Podcast host, Nancy Ribak Altadonna interviewed notable attendees and presenters who shared ideas about innovation, inspiration, who they give thanks to, expectations for students in the future, and their favorite tech tool or resource that they plan to use this year. This podcast features 11 innovators who work for or with NYC Schools. They share their ideas, insights, and best practices. You can listen to the time stamped highlights of what some NYC ed tech leaders said at the links in the caption above. Check out what they had to share. If you find something of interest, you can jump to exactly what you want to hear in the podcast. 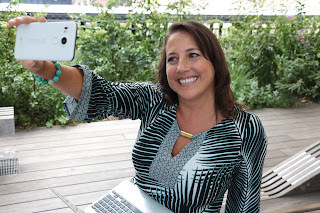 Nancy is the host of the #NYCSchoolsTech podcast. She is the one to provide opening remarks and interview today’s guests. Denora talks about... her vision for every young person to be given the civic knowledge necessary to be prepared to participate in a 21st century democracy. Brooke talks about...how Generation Citizen was able to use technology to support non-verbal students with special needs in being able to weigh in, express their ideas, and have their voice heard. 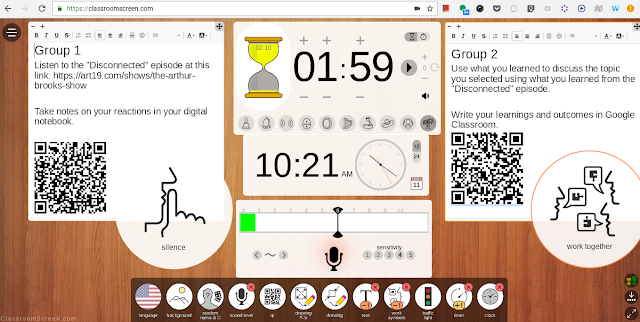 an example of a school that successfully incorporated technology into learning by actively demonstrating, creating, and making meaning in a math class. why the annual #NYCSchoolsTech Summit is an important event for her, educators of all grades and subjects across the city, and our vendor partners to attend. She also discusses whether “technology” should be a little T or big T when we think about STEM, STEAM, STREAM...aka school. Find out how she believes students will use technology to change the world. how to help teachers reach citizen philanthropists via Donors Choose for teachers who don’t have the funding through their schools to best help meet their student’s needs. They also teach a class in New York City teaching educators to do just that. connecting classrooms globally via global collaborations through music and why it is so important for our digital citizens to understand that there are others out there around the globe that are both very different, yet very similar. the power of the the #NYCSchoolsTech professional network for learning. Find out why he's excited to bring Google’s Applied Digital Skills to his school this year. how our #NYCSchoolsTech group has harnessed the power of social media to make meaningful connections and learn deeply with peers, experts, and expert peers. She also discusses the importance of vendor partnerships and develop relationships. Find out why her favorite tech resource she learned about this year at the Summit is podcasting to make a change and involve in civic engagement. what the #NYCSchoolsTech award means to her and the power of collaboration, knowledge sharing, resource sharing, and vendor relationships in the #NYCSchoolsTech group. She also explains how pursuing certification has been helpful to her professional growth. Find out why she is excited to bring digital storytelling to her classroom with podcasting. If you attended the Summit, or another ed conference this year, what did you think? How would you answer the questions this episode's guests discussed? Why were you inspired to attend the #NYCSchoolsTech Summit? What’s the best part of being involved with #NYCSchoolsTech? If you could thank someone from your #NYCSchoolsTech learning network, who would you choose and why? What is one innovative tool or practice that you learned about today that you plan to use to ensure your students are civically activated and educated? 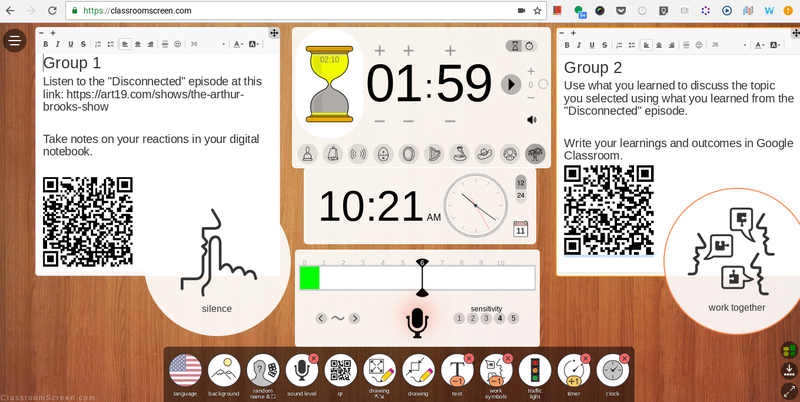 In one place you have directions for each group, work style, timer, time, and the information on where to access their work No one in the classroom is unsure what to do, because it is projected in the room. You can check out all the features in this two-minute overview.